Wolfgang Plan was found guilty of murdering a policeman during a raid on his house. NUREMBERG (GERMANY) - A German far-right militant belonging to the shadowy "Citizens of the Reich" movement was sentenced to life in prison Monday for killing a policeman during a dawn raid on his house. Wolfgang Plan, 50, was convicted by the regional court in the southern city of Nuremberg of murder in a case that sparked a nationwide crackdown on radical right-wing groups. He had denied intending to kill the 32-year-old officer during the trial, which started in August, as well as membership of the so-called Reichsbuerger (Citizens of the Reich). The group includes neo-Nazis, conspiracy theorists and gun enthusiasts who reject the legitimacy of the modern German republic. Plan told the court through his lawyer that he thought he was under attack when his house was stormed in the "amateurish" raid in October 2016, and had no idea he was firing at police. One policeman was critically injured and later died of his wounds, while two others were injured in the confrontation in the town of Georgensgmuend. Prosecutors argued Plan, a hunter who once ran a martial arts school, fired 11 shots "with the intention of causing as many deadly injuries as possible". The raid was aimed at seizing Plan's arsenal of about 30 weapons after his permits were rescinded following an assessment that he was psychologically "unsound". Reichsbuerger followers generally believe in the continued existence of the pre-war German Reich or empire as it stood under the Nazis, and several groups have declared their own states. They typically deny the legitimacy of police and other state institutions and refuse to pay taxes. Long dismissed as malcontents and oddballs, the Reichsbuerger are seen as a growing threat after a string of violent incidents. 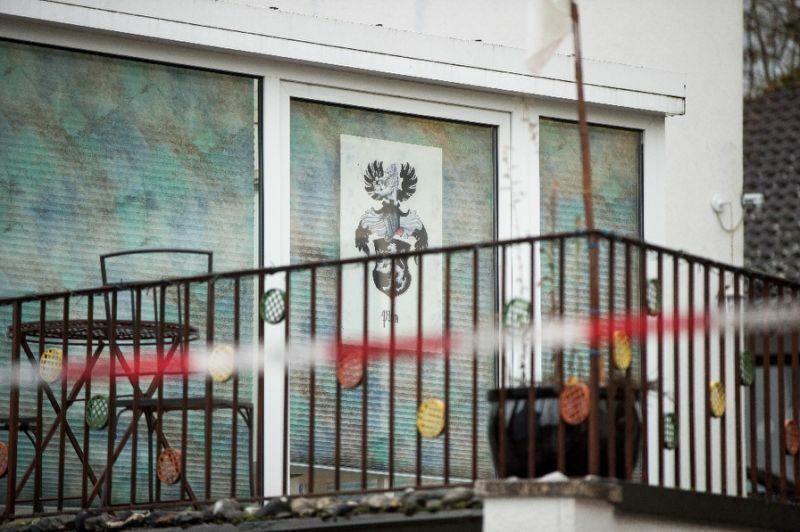 Two months before the deadly shooting in Bavaria, a 41-year-old Reichsbuerger and one-time "Mister Germany" pageant winner opened fire on police carrying out an eviction order at his house in the eastern state of Saxony-Anhalt. The gunman was seriously wounded and three officers suffered light injuries. Police have since carried out a series of raids against suspected Reichsbuerger militants, seizing arms and making several arrests. Security services believe some 15,000 people in Germany identify as Reichsbuerger, some 900 of whom are known far-right extremists. A German far-right militant belonging to the shadowy "Citizens of the Reich" movement was sentenced to life in prison Monday for killing a policeman during a dawn raid on his house. Wolfgang Plan, 50, was convicted by the regional court in the southern city of Nuremberg of murder in a case that sparked a nationwide crackdown on radical right-wing groups.